We’ve been to Kuala Lumpur (or KL) as many as 10 times. 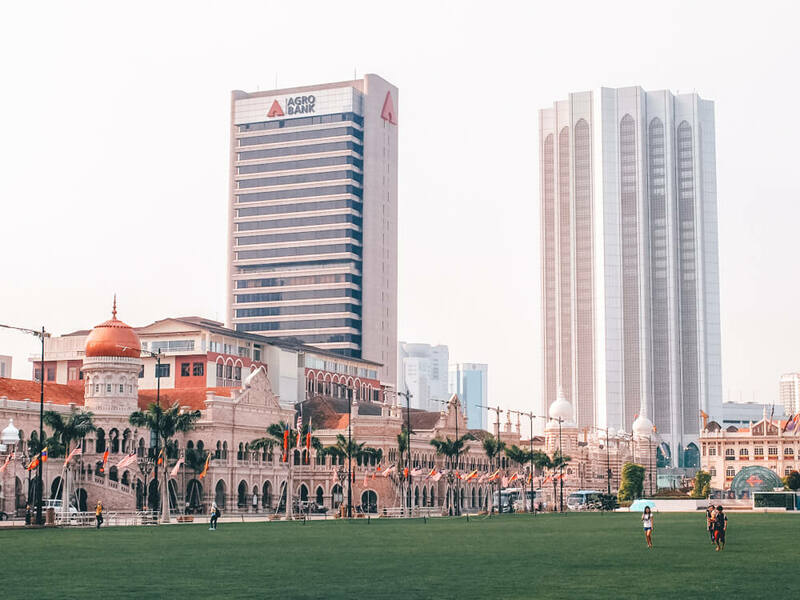 To help you prepare for your trip to Malaysia’s capital city, today we are sharing our itinerary for Kuala Lumpur, Malaysia. 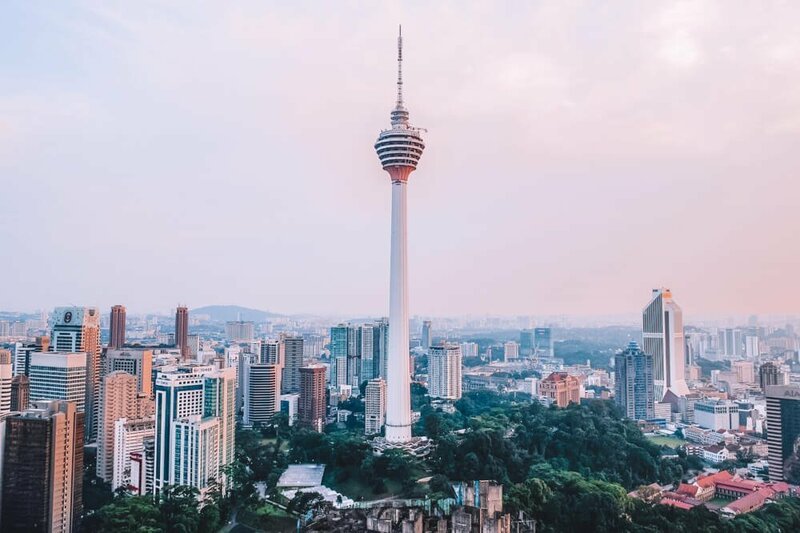 We’ve also provided a list of some of the best things to do in Kuala Lumpur, plus how you can fit them all into a short visit to KL. 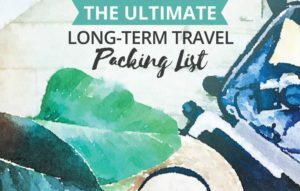 I’ve been on both short and long trips, in total spending around 3 months in the city. During all these visits I understood that I really like KL, and now it is one of my most favourite cities on the planet. It’s busy, it’s modern, it’s vibrant, but there’s plenty of historical landmarks that ﬁt in in this modern city very well. Kuala Lumpur still is a city where modern entwines with old values, and it is amazing to see! There’s a common idea that there’s nothing to see and do in Malaysia’s modern capital at all. But KL is actually rich with sights and landmarks, as well as there are plenty of fun things to do. Kuala Lumpur has way more to it than the world-famous Petronas Twin Towers. Yes, it may not be as interesting as Bangkok and Tokyo but it’s definitely not a boring city either. Are you ready to learn more about this modern and fast-growing Asian metropolis? 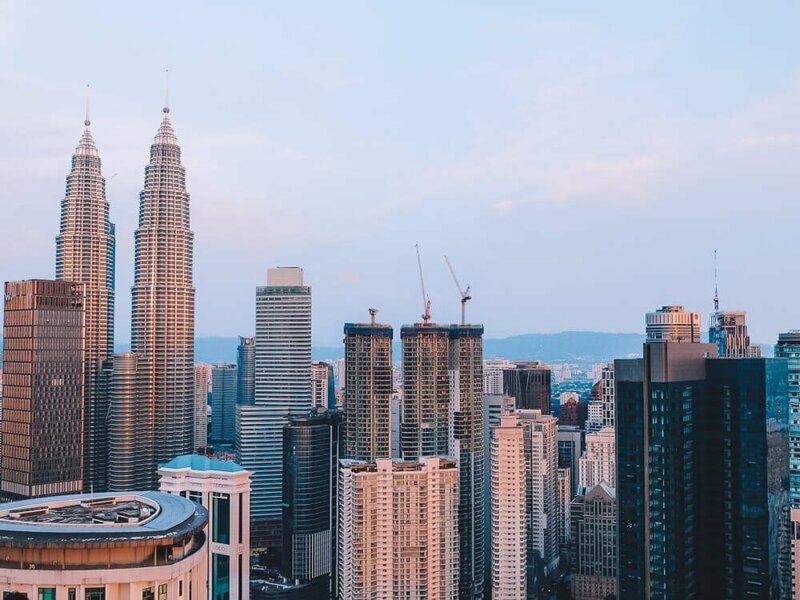 First, we will delve into all of the fun things to do in Kuala Lumpur, then we will present you with the best itinerary for 3 days in Kuala Lumpur and then a list of places to visit in Kuala Lumpur in one day. 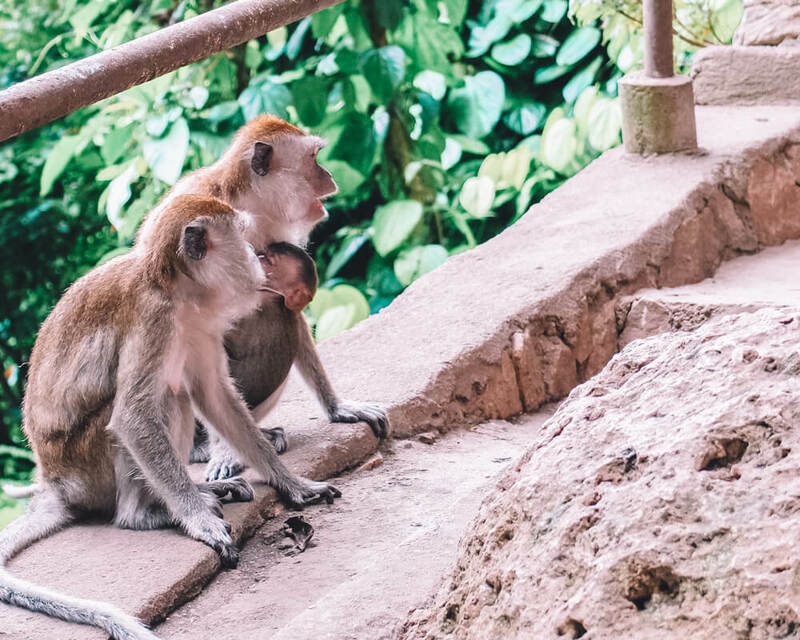 Here are all the fun things to do in Kuala Lumpur, not all of them made it into our itineraries, so if you have more than three days in KL, then these Kuala Lumpur activities will help you build your own itinerary. 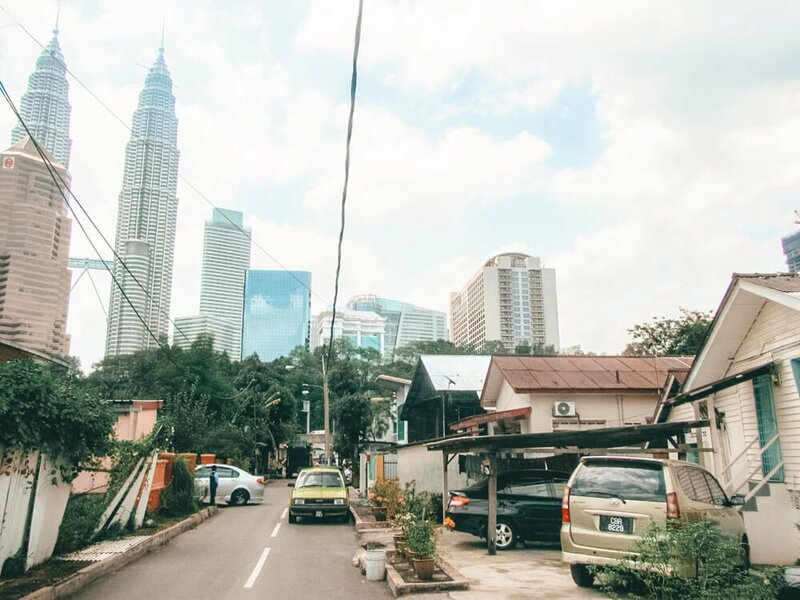 Kampung Baru (meaning New Village) is an old neighbourhood located right next to the Petronas Towers. In this neighbourhood, you’ll see old, traditional houses similar to the ones in the countryside. Since the neighbourhood is right next to the Petronas Towers you can easily see them from almost anywhere in this “village”! It’s amazing to see the world’s tallest twin towers and other shiny buildings next to the historic, low-proﬁle houses. That’s what I was talking about when I said that KL is a city where modern entwines with old! If you are visiting the neighbourhood in the evening check out the food street at Jalan Raja Muda Musa that is so popular among locals. There’s also a local night market here that takes place on Saturday evenings. How to get there: take the LRT Kelana Jaya line to Kampung Baru. There are plenty of things to see and do around the Petronas Towers. 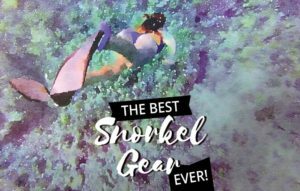 You probably can spend a whole day there just shopping in the Suria KLCC mall, visiting diﬀerent attractions (like PETRONAS Art Gallery, Petrosains, Aquaria KLCC), or taking a relaxing stroll in the KLCC park. When in Suria KLCC mall, don’t miss Nadeje. They sell delicious Mille Crepe Cakes of various ﬂavours. Mille Crepe Cake is a famous desert in Asia, especially Thailand, but originally it comes from France. The Petronas Towers’s Skybridge; the double-decker sky bridge connecting the two towers, is one of the most popular attractions in KL. 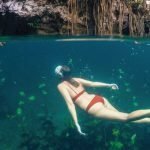 Since it is so popular, you’ll have to buy a ticket a couple or even a few days in advance to go there. If you are hanging around KLCC in the evening, come here to see the free fountain show Lake Symphony. It begins every day from 7:30 PM and happens about every half hour. Click this link for more info about the fountain show. How to get there: on the GoKL bus, stop at KLCC. On the LRT (Kelana Jaya line), stop at KLCC. 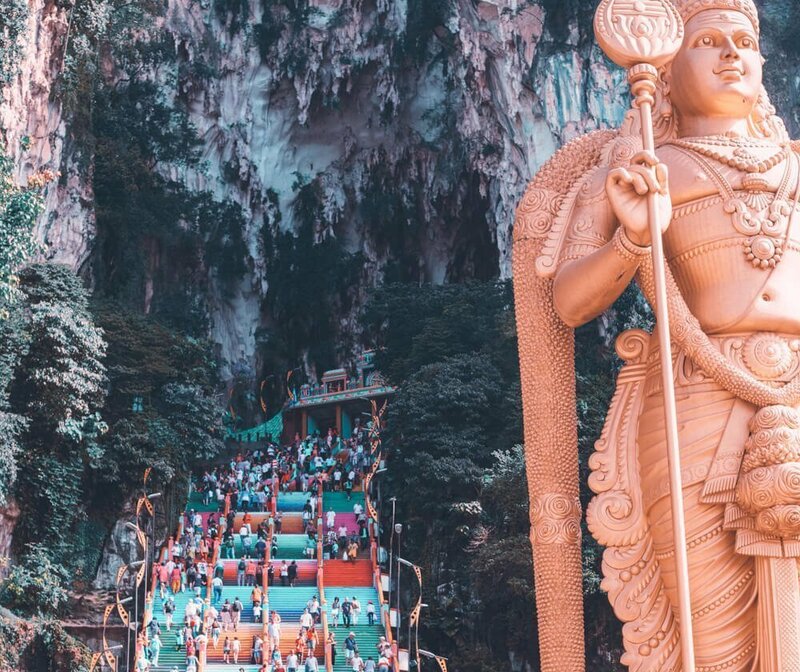 Batu Caves shrine complex is one of the most popular attractions in KL. In front of the entrance to Batu Caves, a huge statue of Hindu Lord Murugan stands. It’s the largest Lord Murugan statue on the whole planet! But what are Batu Caves? It’s a limestone hill with several caves in it. The largest cave, referred to as Temple Cave (admission is free), sits on the top of the hill. You can get there by a steep climb of 272 steps. The Dark Cave (admission is 35-80 RM) is located below the Temple Cave. It is a 2 km long network of grottos and tunnels. There, you will see impressive rock formations such as stalagmites, stalactites, cave scallops, and cave curtains. There are two more caves at the base of the hill, as well as the Ramayana Cave on the left of the hill (admission fee is 5 RM). Also don’t miss Rani Vilas Restaurant Batu Caves, a cheap Indian eatery on the temple grounds. Rani Vilas Restaurant Batu Caves sell amazingly tasty South Indian food, including Dosa and Thali. I’ve eaten there several times and have never been disappointed! When visiting Batu Caves you should dress modestly. 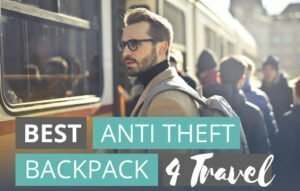 Travelers must wear clothing that covers their legs and shoulders. If you have forgotten to do so, you can rent a shawl at the entrance. How to get there: KTM Komuter train from the KL Sentral station (Seremban Line, train stop Batu Caves). 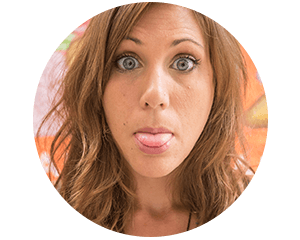 If you are staying in a hostel there will most probably be information about free walking tours (tours are usually conducted for donations). Sometimes hotel staﬀ also organise free walking tours. The Malaysian government organises a free Heritage Walk starting from Merdeka Square. The walking tour is on Mondays, Wednesdays, and Saturdays, and it starts at 9 AM from the KL Gallery. Duration is around three hours. More info on the Kuala Lumpur’s oﬃcial tourism website. 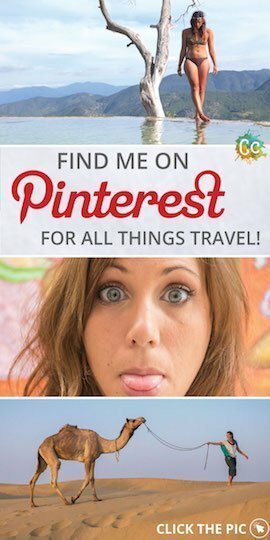 If you aren’t on a tight budget check out various walking tours on TripAdvisor.com. You’ll ﬁnd also food tours. Kuala Lumpur walking tour itinerary may vary from company to company. Chinese people make up around 25% of the Malaysian population and 43% of the population in KL. The ﬁrst Chinese came to Malaysia in the early 15th century. During the 19th century and the beginning of the 20th century, the Chinese came to Malaysia because they were attracted by the prospect of working there. As the Chinese are present in Malaysia, so are Chinese temples. The Thean Hou, a grand temple just a few kilometres from central KL, is a temple to the Chinese sea goddess Mazu. After all the skyscrapers, occasional colonial buildings and mosques, a Chinese temple this large might seem like a very unusual sight. Just like the famous Kek Lok Si Temple in Penang, the Thean Hou temple boasts a tortoise pond. Also, there are statues that represent the 12 animals of Chinese astrology. 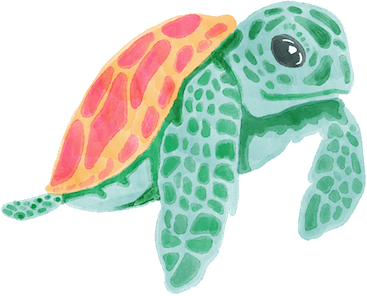 How to get there: The best way is to take a Grab Car. Alternatively, take a Light Rail Transit (LRT) train (Kelana Jaya line) to Putra Heights. Get oﬀ at Bank Rakyat Bangsar and walk (1.7 km), or take a Grab Car from there. Food, OMG! You can try so many diﬀerent authentic dishes in Kuala Lumpur you won’t know what to choose! So we’re here to help you. 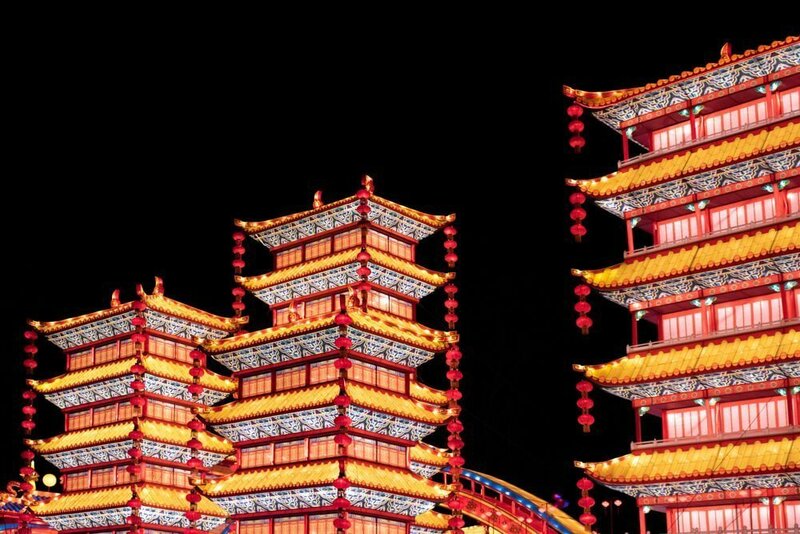 Head to Chinatown to try delicious Chinese food. Taste the popular frog porridge at Hon Kee Porridge on Petaling Street! In Bukit Bintang, you can get anything from grilled frog to fancy western food. Alor Street (Jalan Alor), which used to be a red light district, now is a popular food street with countless hawker stalls and local restaurants. 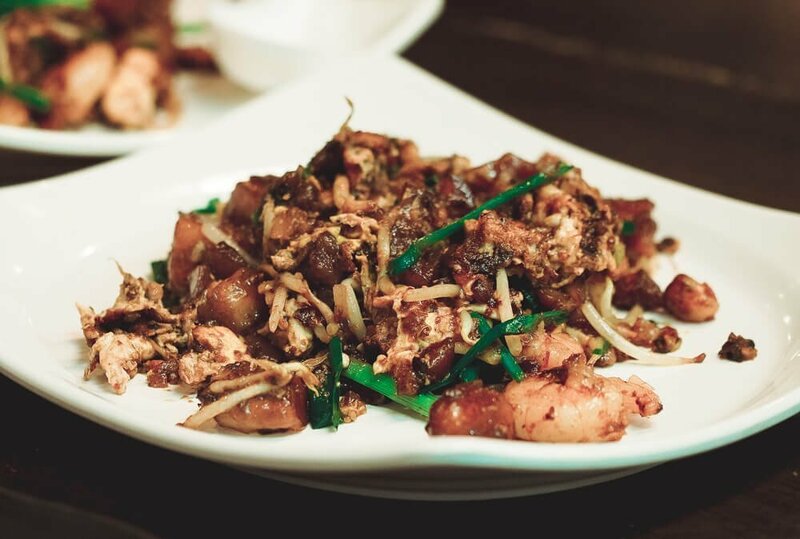 Head to Sun Fong Bak Kut Teh (on Jalan Imbi, a few minutes walk away from Alor street), and If you are brave enough, taste the pig intestine Bak Kut Teh! Ever dreamed of eating at a Michelin-starred Restaurant? It is possible in KL, even if you are on a budget. Michelin-starred dim sum restaurant in Pavilion Mall in Bukit Bintang; Din Tai Fung, sells delicious Dim Sums (kind of like dumplings). Plus it’s not too expensive; 6 pieces for around 15 RM. Head to Little India (in Brickﬁelds) to sample authentic Indian food. Try South Indian dishes like Thali and Dosa if you haven’t had it before. Chicken curry, Chicken Biryani, Chicken Masala, Palak Paneer, Aloo Gobi, and Tandoori Chicken are other great Indian dishes worth tasting! Want to eat where the locals eat, instead? Then head to the Jalan Raja Muda Musa food street in Kampung Baru neighbourhood (in the evening) for a frantic local market meal. Go to Nasi Kandar Line Clear and try a popular Malaysian dish called Nasi Kandar that consists of rice and is served with diﬀerent curries on the side. If you are tired of local foods, head to the foodcourts of Suria KLCC (Level 2 and 4) for Western, Indian, Malay, Chinese, and even some Mexican food all under one roof. In KL, everywhere you’ll go you’ll see small local restaurants and even single vendors in front of metro stations, near mosques, shopping malls selling pre-packed food, including my favourite Nasi Lemak. 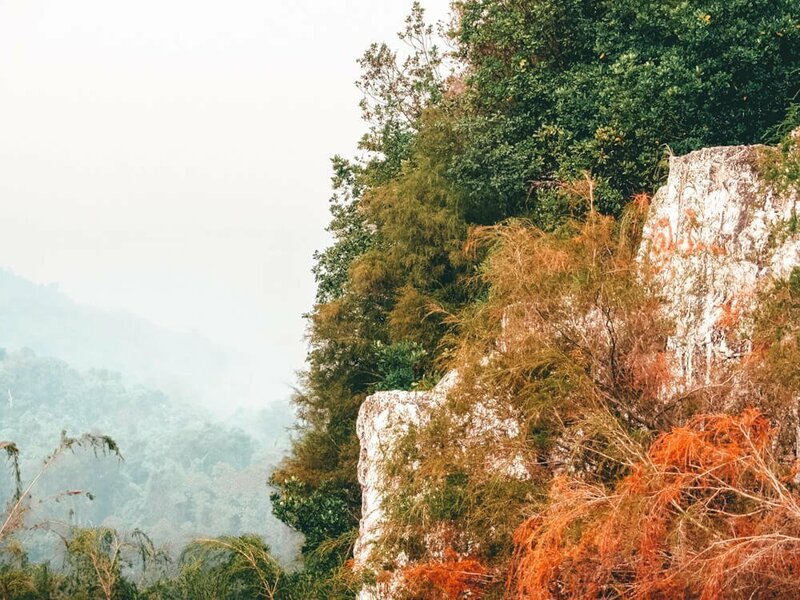 KL Forest Eco-Park, one of the oldest forest reserves in Malaysia, is a small paradise for nature lovers right in the middle of the bustling city! Any visitor can explore the ancient rainforest since there are various walking trails. 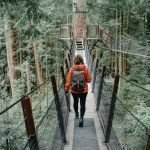 There’s also a Canopy Walk, a high bridge that oﬀers beautiful views of the city and a forest. Also good news, there’s no entrance fee. How to get there: Take a monorail train to Bukit Nanas, then walk to the forest (around 1 km). A Hindu temple in Chinatown? Why not? 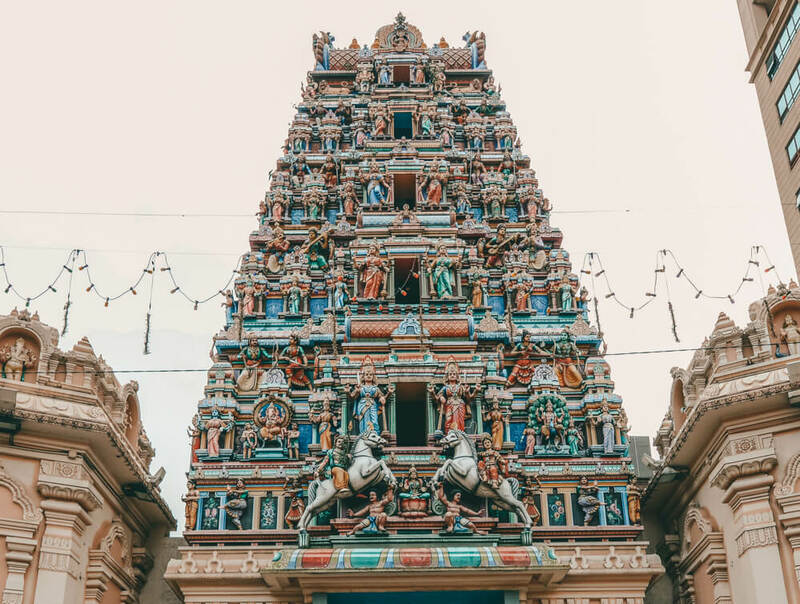 Founded in 1873, Sri Mahamariamman Temple is the oldest Hindu temple in KL. 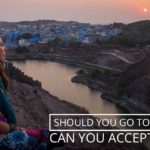 It’s deﬁnitely worth a visit, especially if you haven’t been to India. Hindu temples are interesting especially because of the countless colourful sculptures of deities. Visitors are allowed to enter this temple but they should be modestly dressed; knees and shoulders should be covered. How to get there: take the LRT Kelana Jaya line to Pasar Seni. The temple is only a few minutes walk away from there. Head to National Museum of Malaysia to learn about the culture and history of Malaysia. 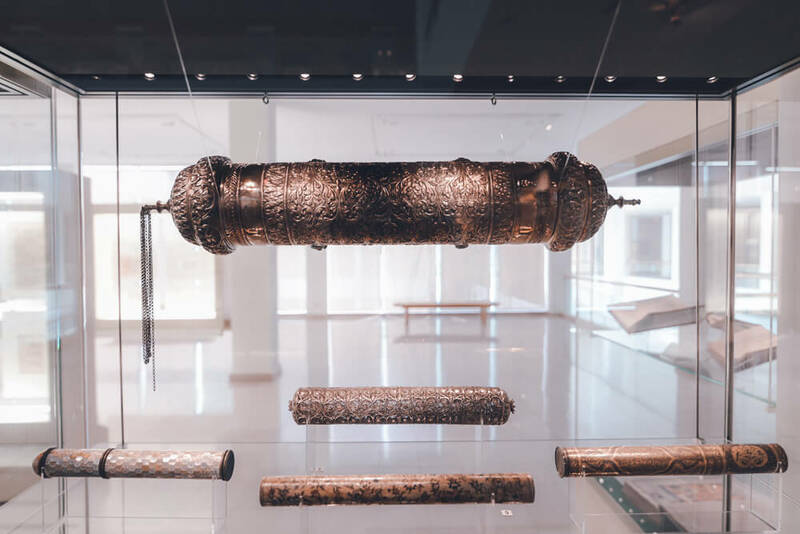 There are several exhibit halls in the museum, and you’ll ﬁnd various artefacts there like old weapons, currency, arts and crafts, as well as olden day transport. How to get there: take the MRT Sungai Buloh–Kajang line from Pasar Seni, Merdeka or Bukit Bintang to Muzium Negara station. Another great museum in KL. Actually, the Islamic Arts Museum is considered to be one of the best places to visit in Kuala Lumpur. It’s located a mere 10-minute walk away from the National Museum of Malaysia. So, if you are really interested in museums, why don’t you combine with a visit to the National Museum (above) at the same time? Usamah Bin Zaid Mosque in Wangsa Maju neighbourhood. 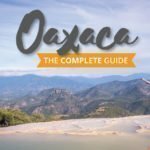 If you have the time or are staying there, visit it. It’s beautiful! 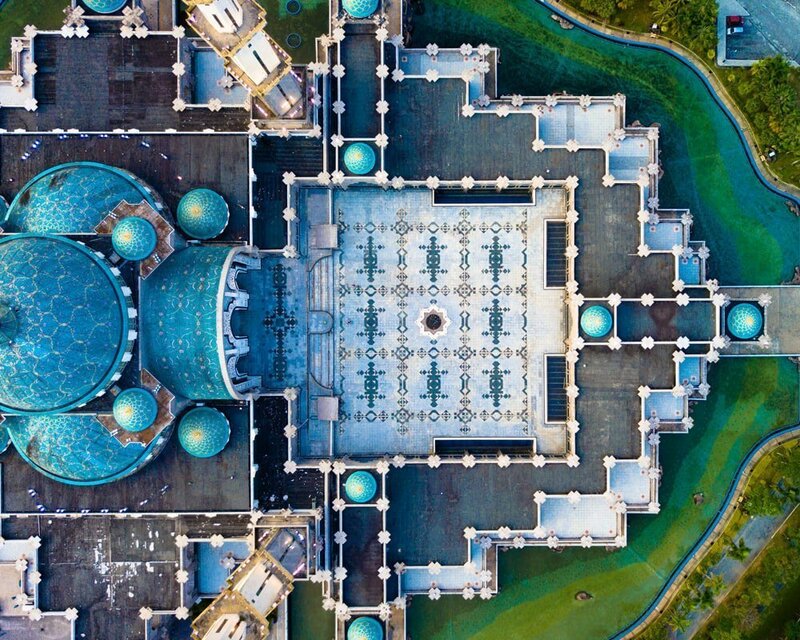 The Sultan Salahuddin Abdul Aziz Mosque is Malaysia’s largest mosque and the second largest mosque in Southeast Asia. It is located outside of KL in Shah Alam, Selangor. Foreign non-muslim visitors are allowed to enter, and there is a separate entrance to the mosque for non-muslims. 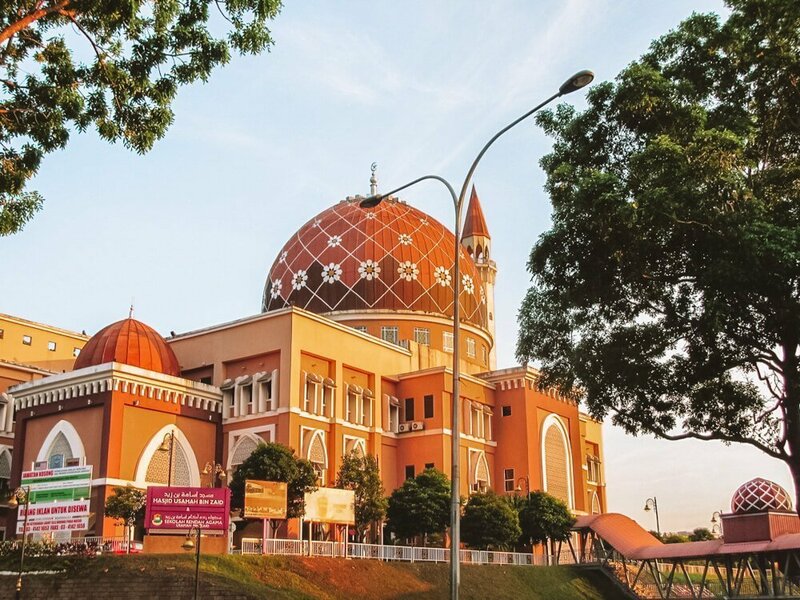 The easiest way to get to the Sultan Salahuddin Abdul Aziz Mosque is to take a KTM Komuter train from KL Sentral to Shah Alam station, and from there take a Grab car to the mosque. Jamek Mosque (Masjid Jamek) is one of the oldest mosques in Kuala Lumpur. It is located 3 km from the Petronas Towers (LRT stop Masjid Jamek), at the conﬂuence of the Klang and Gombak rivers. Foreign non-muslim visitors are allowed, but they must come after prayer times. The National Mosque of Malaysia (Masjid Negara) is one of the most famous mosques in KL. It is located near Lake Gardens, a few kilometres from the Petronas Towers. Foreign non-Muslim visitors are allowed to visit, but only at certain times of the day. The nearest LRT station is Pasar Seni. From there you can walk to the mosque in around 20 minutes. Note: when visiting a mosque you should dress modestly. Ladies must cover their legs and arms and wear a headscarf. Men are allowed to wear a T-shirt (not sleeveless, though) but their legs should be covered, too. 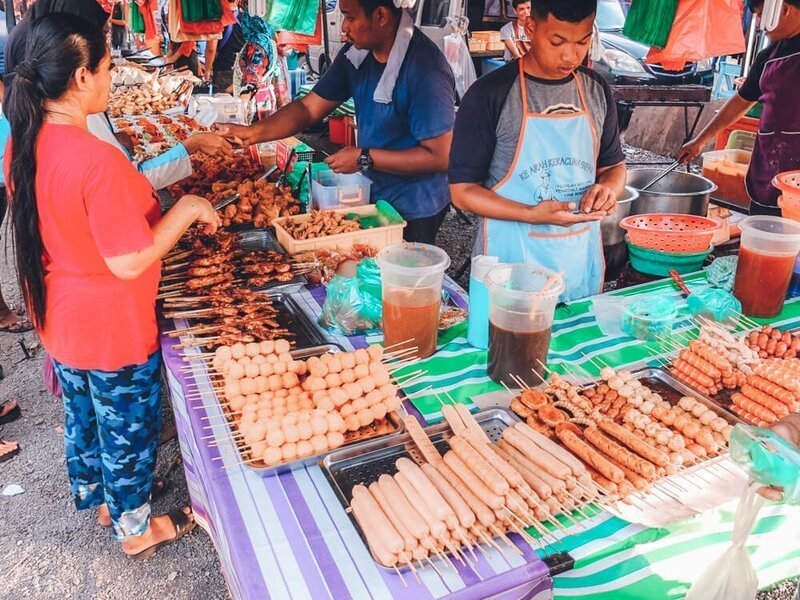 Simple food, drinks, snacks, local sweets, clothes, accessories and some electronics (such as cables, portable speakers) are sold in the night markets throughout Malaysia. These markets are perfect places for budget travellers. Everything is cheap (cheaper than in popular “tourist markets”), and the prices are written down (so no haggling!). One of the best night markets takes place in Kampung Baru, a place I’ve mentioned before (see above). For more information about KL’s night markets and the locations click here. A great place where you can see a spectacular view of Kuala Lumpur! Unlike with the Petronas Towers Skybridge, to visit the KL Tower you don’t have to buy your ticket a few days in advance. Also, the viewing platform of the KL Tower is higher than the one on the Skybridge (276 m vs 170 m). And the admission is cheaper, too (49 RM). There is even a higher viewing platform at 421 metres (admission fee is 99 RM). Extending from this platform is the Sky Box; a large “box” with glass walls, ceiling, and ﬂoor. KL tower is a unique place to enjoy panoramic views of the city! The highest restaurant in the city, Atmosphere 360, is located in the Menara KL too. It is set on a rotating viewing deck, and it takes around one hour to for the restaurant to do a full circle! How to get there: Take the GoKL purple line, alight at bus stop KL Tower. The tower is just a few minutes walk away. On the Monorail, alight at Bukit Nanas. With LRT (Kelana Jaya line), alight at Dang Wangi. The tower is some 20 minutes walk away from the LRT and monorail stations. 17 km north-east of central Kuala Lumpur, next to the Klang Gates Dam Mount Tabur (Bukit Tabur) is located. It’s so close to the city, yet so wild! It’s a place where you can forget all about the hustle and bustle of the modern city and enjoy beautiful views of the surrounding hills and the nearby dam. 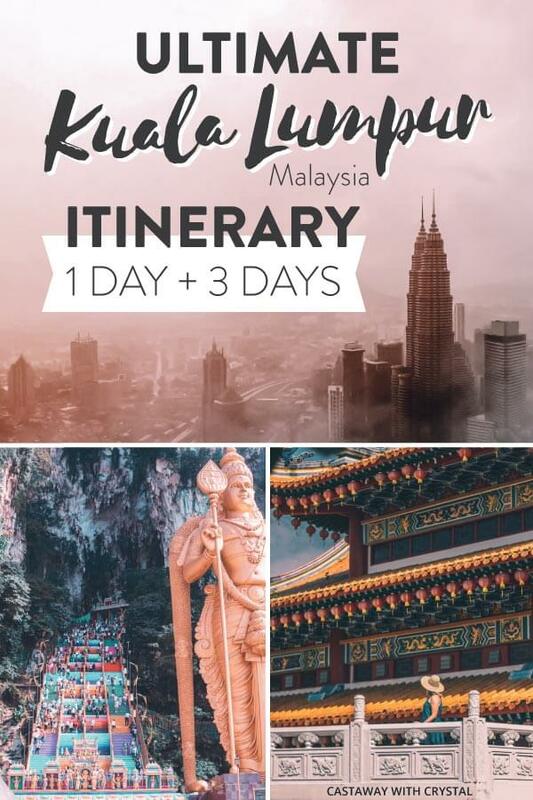 It’s really one of the best day trips from Kuala Lumpur, however, due to how long it takes, I have not been able to include it in my suggested 3 days in KL itinerary. If you want to see beautiful nature and don’t have much spare time to go to the countryside, take a guided hiking tour to the Mount Tabur. 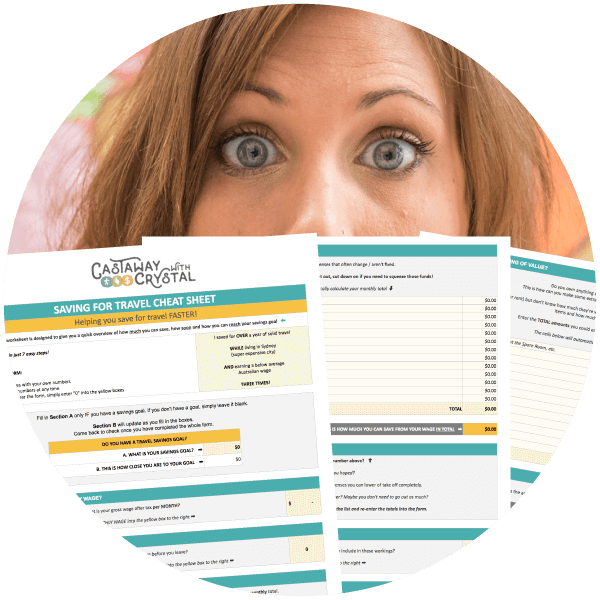 It’s not too expensive, and it’s totally worth it! Transportation and lunch are included in the tour. You can hike on your own, but I wouldn’t recommend it, as it’s rather dangerous. My partner and his brother have done this a couple of times, but they say that it’s not very clear as to where to go since the trails aren’t marked properly. Also, there are permits needed to access some sections of this trail. One of the companies that organize the trek is Open Sky Unlimited, and the experience costs around 200 RM (48 USD) as of February 2019. It’s true, there are not as many street art places in KL as there is in Georgetown, Penang, but still, a street art lover will be satisﬁed. Oh also, if you have enough time for it, think about going to Penang, at least for a day or two. 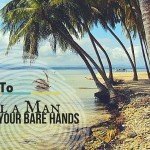 There are a lot of interesting things to do in Penang. To see all the 15 activities mentioned above you’ll need more than 3 days in Kuala Lumpur. But since KL is just a stopover for most travellers, I have created both a 1-day and 3-day KL itinerary, that you can ﬁnd below. All the best things to do in Kuala Lumpur, packed into just one day! 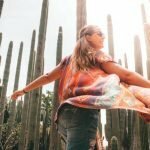 To make most of your single day and experience only the best things to do in KL, follow my Kuala Lumpur one day itinerary. Malaysia’s days don’t last that long, and sunsets happen quite early (usually around 7 – 7:30 PM depending on the time of the year). Darkness falls almost instantly after sunset too, so you will want to start your day as early as possible. 07:30 | Start with the Petronas Towers. Since it’s the most iconic landmark of Malaysia, most tourists start the exploration of the city from the Petronas Towers. But don’t go to Suria KLCC mall yet, you can do it when it gets dark. 09:30 | Head to KL Tower (Menara KL) to see the city from above. 12:00 | Travel out to Batu Caves shrine complex. After you have explored all of the caves, have lunch at Rani Vilas Restaurant Batu Caves. 16:30 | Head to Chinatown to buy some souvenirs and just walk around the neighbourhood. Visit the Sri Mahamariamman Temple. 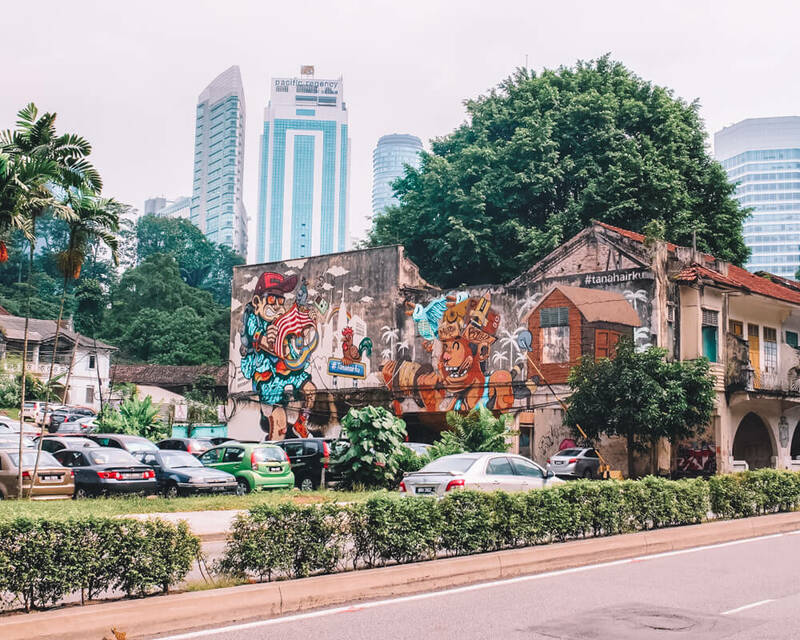 Leave Chinatown via the main tourist street (Jalan Petaling/Petaling Street) and walk around the rest of this neighbourhood. You’ll see plenty of little Chinese traditional shops that sell plants, traditional medicine, teas, snacks, and sweets. Extra: If you have enough time (and energy) and you are taking public transport, you might be able to fit in the Lake Symphony Fountain Show and Suria KLCC Mall at the base of the Petronas Towers on your way over to Bukit Bintang. The fountain shows start at 7:30 PM. 20:00 | Head to Bukit Bintang in the evening and have a drink at one of many bars. Have dinner there, too at the night market. Maybe try something unusual, like grilled frogs or pig innards Bak Kut Teh? 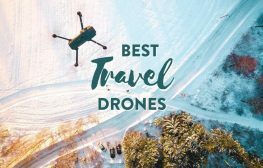 Are you having more than just a short stopover? 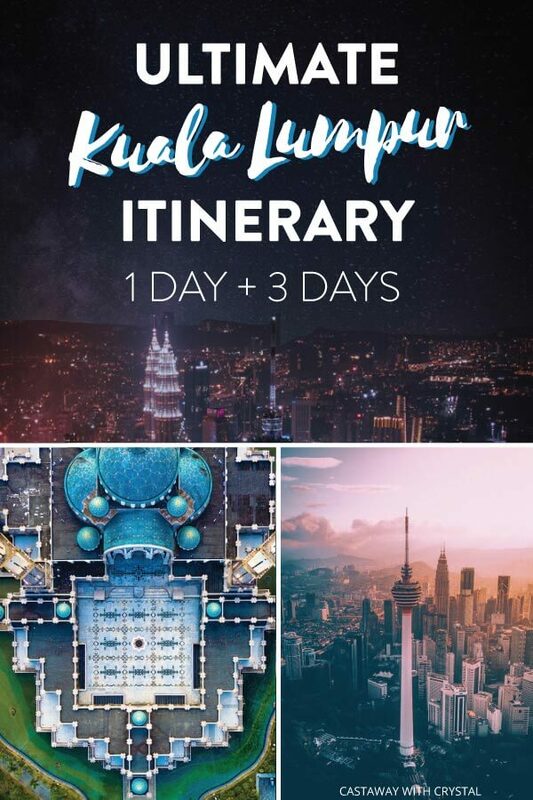 Then this is for you; my 3-day itinerary; Kuala Lumpur! This is an optimal 3-day KL itinerary. Of course, you can also see more if you wake up very early and aren’t spending too much time at each of these places. Or, on the opposite side, you may not manage everything that I mentioned below if you wake up late and/or like to ﬁnish early. 07:30 | Start your day early. 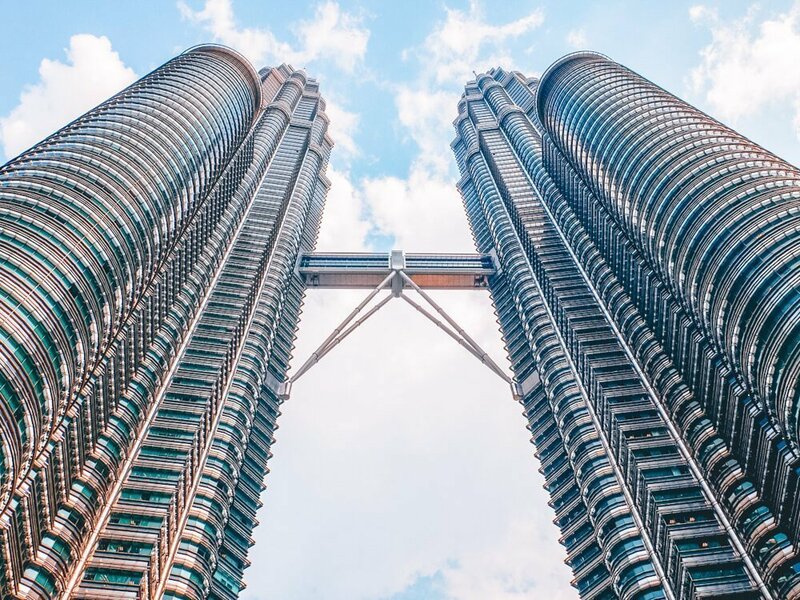 Head over to the base of Petronas Towers to marvel at the huge towering architecture and take your signature photo. 09:00 | Visit the National Mosque of Malaysia. 10:30 | Head to the Thean Hou temple. 14:00 | Head back towards the area around Petronas Towers; Kampung Baru. Have lunch there first, in one of the local eateries or at Jalan Raja Muda Musa, before going off to explore the heritage houses. If you are making a booking to go to the Skybridge at the Petronas Towers, make it for about 4 PM this day so you have time for lunch. 18:00 | Have dinner at one of the local night markets. There is one in Kampung Baru, or you can read more about KL’s other bustling night markets above. 09:00 | You’ll have a bit of a later start today. Go on a walking tour (we recommend the free Heritage trail walking tour around Merdeka Square). Note: the free walking tours that are run by the government are on Mondays, Wednesdays, and Saturdays only. Adapt this 3-day itinerary accordingly. 12:30 | For lunch, try some local foods in Chinatown. Maybe something unusual like frog porridge if you’re feeling adventurous? Afterwards, check out the Sri Mahamariamman Temple. 15:00 | Go up the KL Tower to see the incredible city skyline from above. 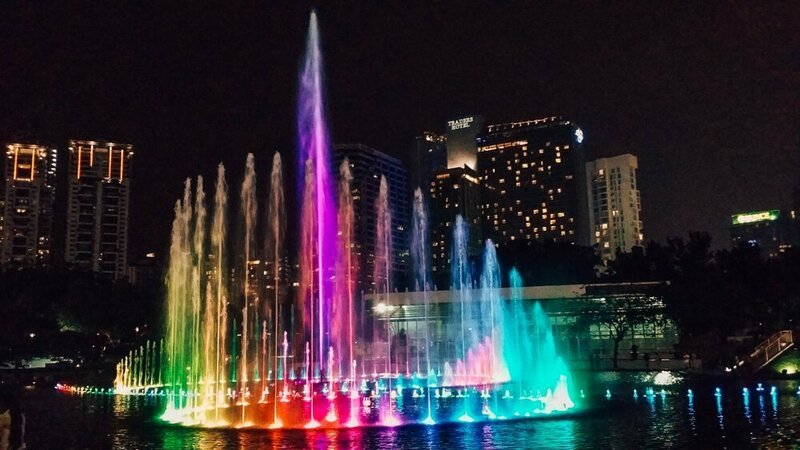 20:00 | Enjoy Lake Symphony (an exhilarating free fountain show) in front of the Petronas Towers. 21:30 | Explore Bukit Bintang at night. Have a drink, taste cheap and unseen snacks, such as grilled frog! 09:30 | Head to Batu Caves shrine complex. After you have explored all of the caves, have lunch at Rani Vilas Restaurant Batu Caves. 14:00 | Visit the National Museum or the Islamic Arts Museum. Or both, if you can fit them in and you have the energy! Note: you really should start your day early, as the museums close by 6 PM. 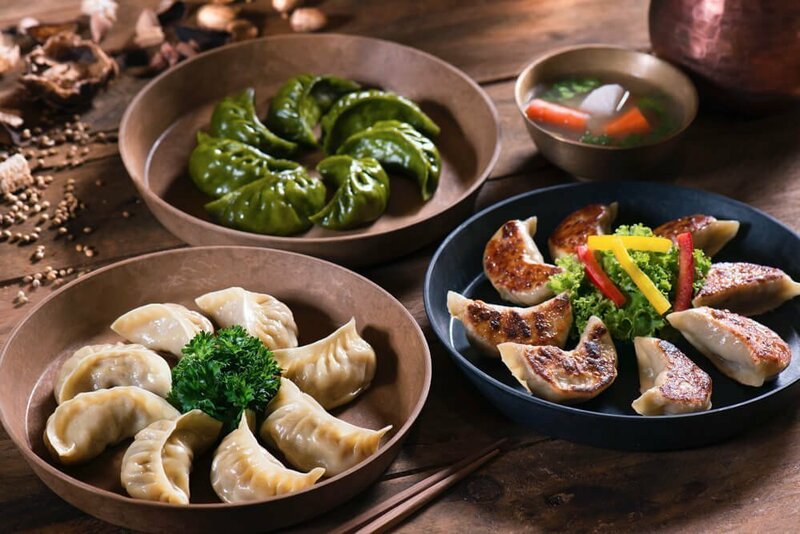 19:00 | Head to the Pavilion KL in Bukit Bintang and have dinner at the Michelin Star Restaurant – Din Tai Fung. It’s cheap (yes, cheap!) and very tasty. Go on, spoil yourself on your last night! Most travellers arrive in Malaysia by air, and the city they land in is Kuala Lumpur. 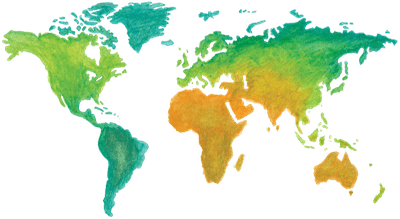 Direct ﬂights to KL are from major European cities (like Paris, London, Frankfurt), cities in Australia, New Zealand, the Middle East, Asia, and, of course, from other Southeast Asian cities. Some travellers (especially – long-term travellers and budget travellers) arrive in Malaysia by land from Thailand and Singapore. In both cases, you can get to KL either by train or a bus. I’ve been in KL during all the seasons. And I can tell you that the best time to visit KL is during the summer; in June, July, and August. These months are the driest, and the chance of rain is lower. Also, a good time to visit is during January and February. November is the wettest month when it rains every day and a lot. Remember; weather in Kuala Lumpur is diﬀerent than the weather in, let’s say, Bangkok. Their dry season really is dry, whereas in Kuala Lumpur it rains even during the dry season. When I told you that the chance of rain is lower in the dry season, it still means that it will rain at least 12 days a month. There is plenty of both luxury and budget accommodations in Kuala Lumpur. All types of travelers will be able to ﬁnd a “temporary home” in KL, either for a short or a longer stay. Cheap guest houses and hotels in Kuala Lumpur are abundant and easy to find. 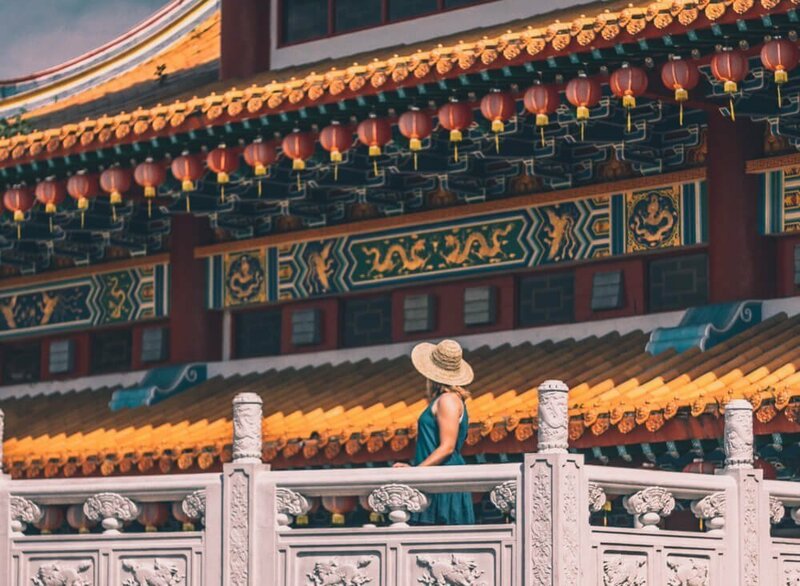 The cheapest hostels, guesthouses and hotels can be found in or near the Bukit Bintang, Chinatown, and Little India neighbourhoods. Prices start from 5 USD for a dorm bed and from 9 USD for a double room. If you are travelling with a group of friends, or you are a digital nomad planning to stay in the city for a while, then I would suggest you to rent an apartment in a condo with free amenities, such as a nice pool (often with a view of the city or even the Petronas Towers) and a gym. THE FACE Suites are amazing, we stayed here on our last stay in the city! There are plenty of dining options in KL and you’ll ﬁnd all types of food here. 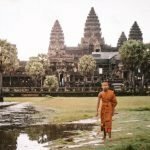 Have you been travelling in Asia for a while and are kind of tired of Asian food? In KL you can get nice western food, delicious Arabic and Middle-Eastern foods and tasty sushi. You’ll be able to ﬁnd Irish bars and sports bars, as well as shisha bars. Seriously, pretty much anything goes in KL. The best area for food is Bukit Bintang. There you can get anything from innards soup to fancy western dishes! Love cheap local food and don’t care for anything else? No worries, KL is a perfect place for you, too! Local restaurants and street food stalls are everywhere, even next to metro stations and oﬃce buildings! 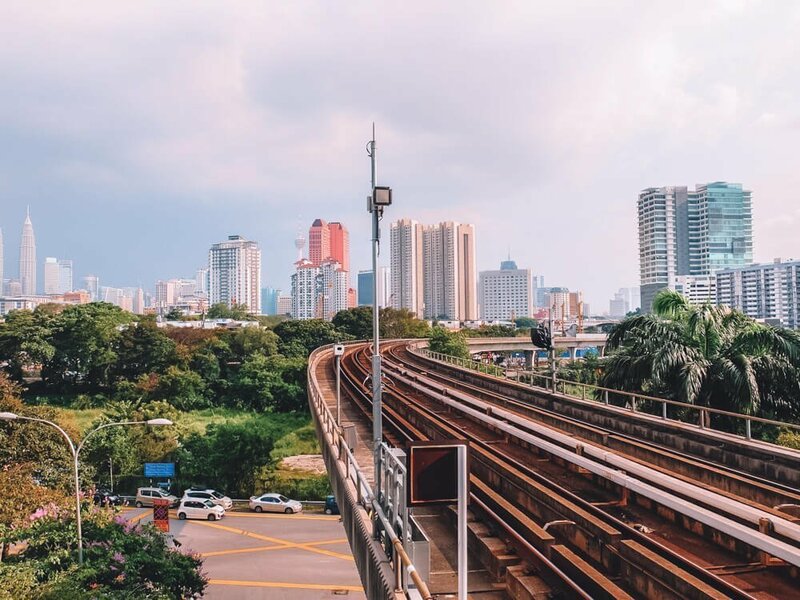 Transportation in Kuala Lumpur is fast and eﬃcient, especially the city’s train network. There are several types of trains: Light Rail Transit LRT (with 3 routes), Monorail, Mass Rapid Transit MRT, KTM Komuter Train, KLIA Express (airport train) and KLIA Transit. Sounds like a lot, right? But it’s not as complicated as it might seem at ﬁrst. The train route maps are everywhere. And even if you don’t understand something, just ask the friendly locals! As anywhere else in the world, taxis are widely available in KL. There are two types of taxis – budget (red/red and white) and executive (blue). I’ve used both. Both types of taxis are metered, and red (budget) taxis are cheaper than the blue ones. Unfortunately, I’ve heard a lot of stories from other tourists that they’ve been ripped oﬀ by taxi drivers several times but this hasn’t happened to me. Despite taxis being cheap I recommend you to use Grab (ride-hailing / taxi app) because then it’s… Yeah, you’re right – even cheaper! 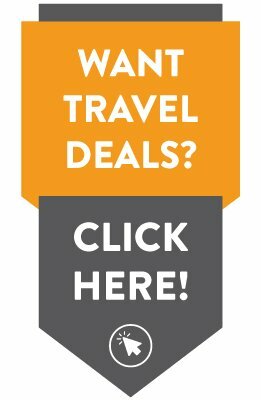 If you are travelling together with a group of friends (or even with your partner) take a Grab Car, often it is cheaper than taking a train/metro. There’s a free city bus service available in Kuala Lumpur, too. The name is GoKL, as it has 4 routes. The bus is serving mainly the city centre of KL. Note: it’s not the best option during the peak hours, early morning, during lunchtime and in the evening, due to heavy traﬃc. There are sooo many local city buses (Rapid KL, just like the LRT and Monorail) which are serving not only the city centre of KL but also neighbourhoods and areas outside of it. Upon arriving at KLIA airport in the arrivals hall you’ll see small shops and stalls selling various SIM cards. 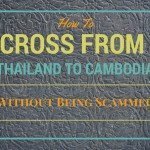 It’s easy to get one, just show your passport and pay some money. For approx. 12 EUR you get 8 GB data and some talk time. The plans and bundles are diﬀerent and change every so often. I can recommend Maxis Hotlink and U Mobile SIM cards. Free Wi-Fi is widely available in hostels, hotels, and guesthouses, as well as in larger eateries and restaurants. If you are planning to use Airbnb and rent a room or an apartment from a local, ask what type of internet is at the property. From my experience, quite a lot of Airbnb’s have a mobile internet connection with limited data, and the hosts don’t always mention this at the description of their property. It could be a problem if you are planning to stay in KL for a while and catch up with your work. 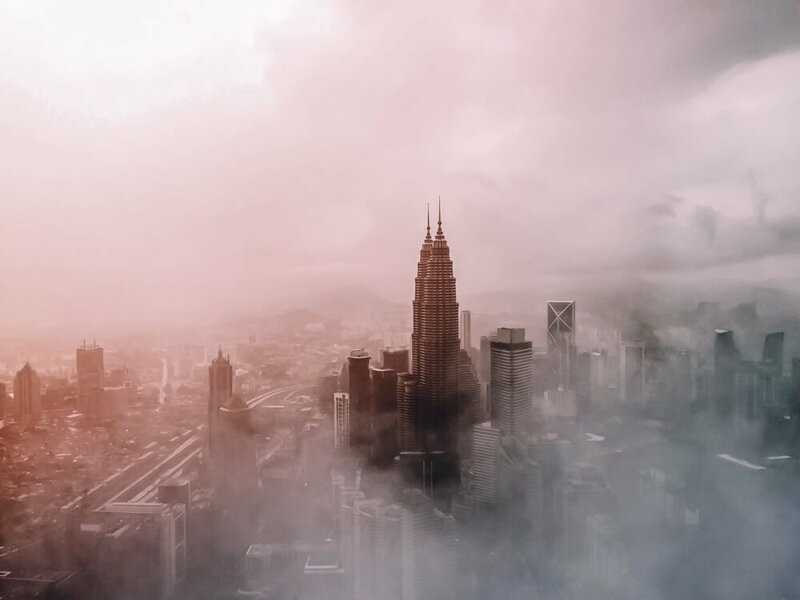 Is there anything you’d add to this Kuala Lumpur Itinerary? Please comment them below! This article was written by a guest poster. See details below. 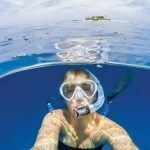 Una is a long-term traveller and a travel blogger from Latvia sharing her travel stories and photography at WeAreFromLatvia.com. Together with her partner Kaspars she has been travelling extensively since 2012. You can follow her travels on Facebook. 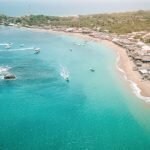 Great one and three day itinerary recommendation! 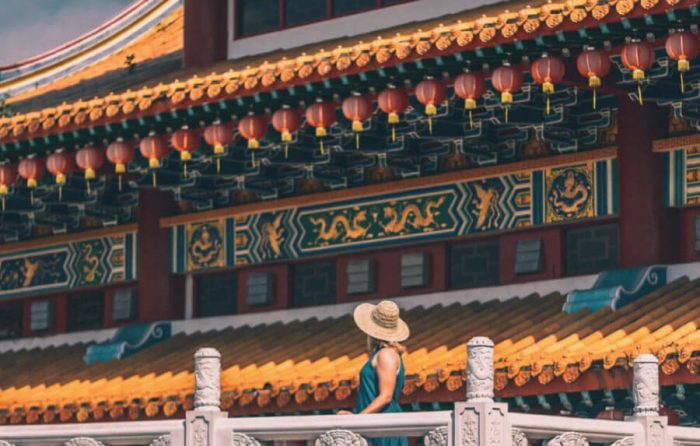 As a local I would also like to add some galleries if you are into art – National Art Gallery, Ilham Gallery and Zhongshan Building would be a great start! Thanks for these! Yes, if you are into art definitely check out these options!